While in New York City for work last week, I had an opportunity to extend my business trip and enjoy a mini-vacation, so I took it. I stayed an extra two days, spending the night at a friend‘s apartment near the Queensboro Bridge. It’s a marvelous place, modest and cozy and full of light, thanks to the living room’s wall of windows overlooking 59th Street and First Avenue. 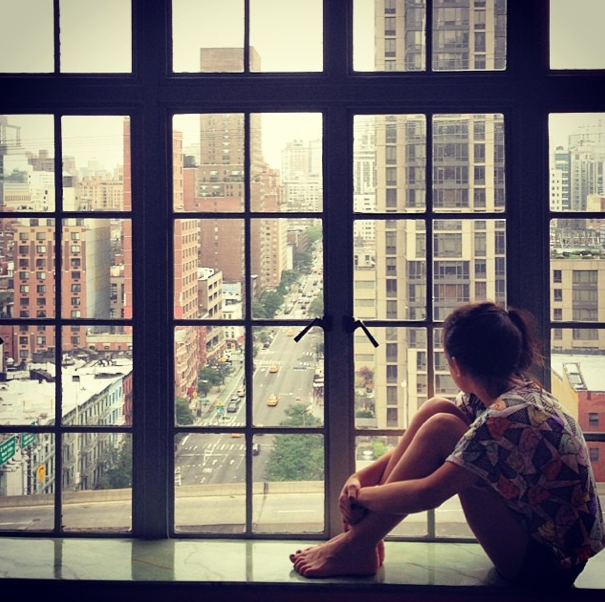 Whenever I visit, I love to just sit and observe the motion of Manhattan through those windows. From my perch on the 16th floor, I watched cabs streaming down First Avenue and 59th and across the bridge. I saw a fabulous thunderstorm creep in from the southwest, slowly and ominously filling the space over the skyscrapers with darkening billows of blue-gray. 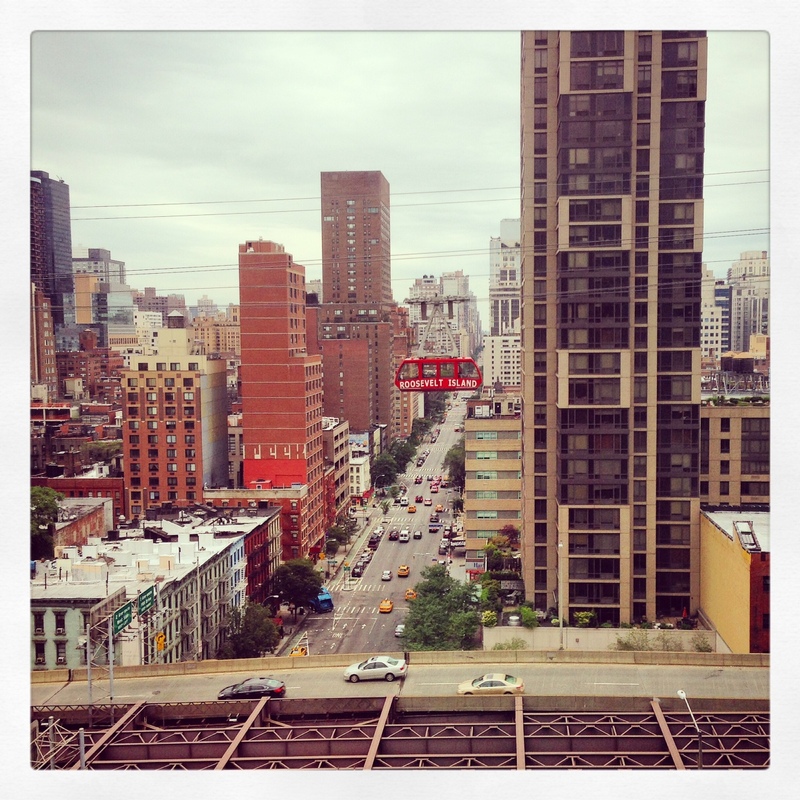 And, best of all, I had a front-row seat to the comings and goings of the Roosevelt Island tram. Because it’s a commuter service, if you’re watching during morning or evening rush hour, you’ll see it pass back and forth quite often, every 5 minutes or so. Of course, for a shutterbug like me, it provides an abundance of photo ops. But wouldn’t you know it, the one time I didn’t have a camera handy, I spied something unexpected. Because I didn’t rush to find my iPhone or little point-and-shoot Canon, I don’t have a record of what I saw. Well, except for what I wrote about it. Washington crossing a river of cabs and commuters. He looks brave to me. catching a ride, I guess, to the other side. any glitch in the system. he stood guard over them?